It has long been our belief at African Insider that eco-tourism is the greatest tool at wildlife conservations disposal. The long standing preservation of naturally occurring ecological systems and wilderness areas is critically important in the modern times. The support of these areas through responsible tourism is the lifeline. I emphasise the word responsible. True eco-tourism has a tall order to adhere to. 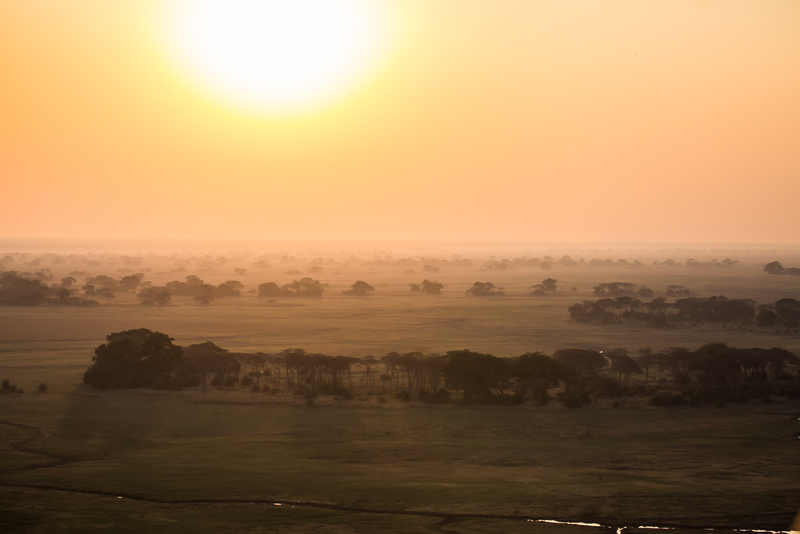 The Busanga Plains at Sunrise from a hot air balloon. A hot air balloon ride is complimentary with a 3 night stay. 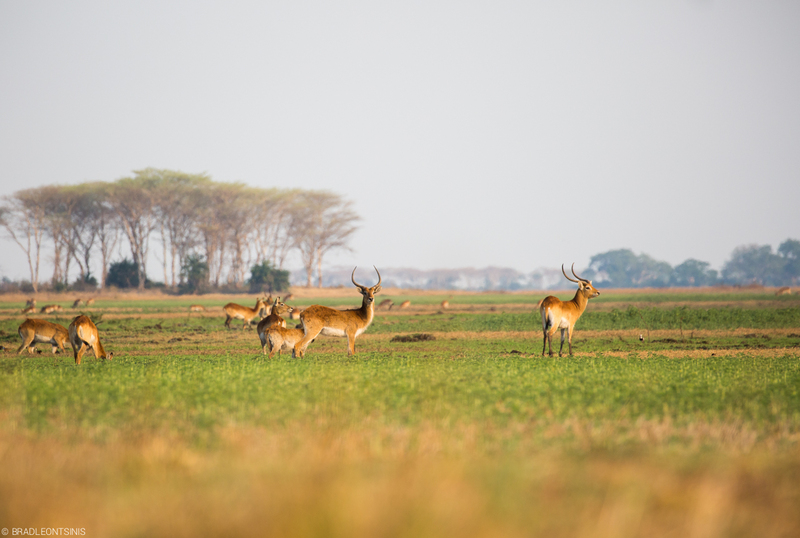 I returned to Zambia’s Busanga Plains in Kafue National Park in October and was blown away by the obvious progressions the region has made thanks to the ongoing presence of responsible and visionary tourism by companies like Wilderness Safaris. When I first worked on the Busanga Plains, Wilderness Safaris had recently laid a footprint in the heavily poached area, equally hard hit by irresponsible hunting practices. Kafue National Park is a remote and hard to reach wilderness, full of potential but also vulnerable to mistreatment. 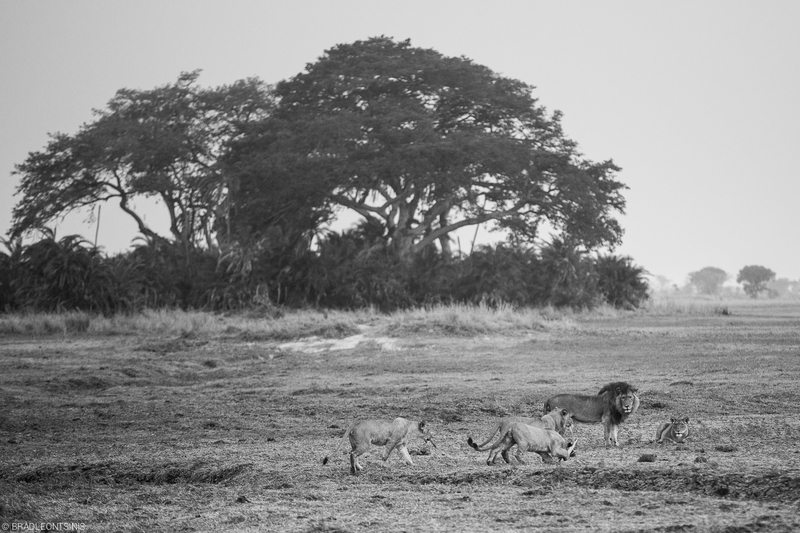 Lion sightings on the Busanga Plains have traditionally been excellent. Large impressive swamp cats forced to wade through water and mud in the wet season. In those days the going was tough, animals were skittish and had no trust for humans who they simply expected to shoot at them. The landscape was equally challenging with a heavily seasonal environment making successful tourism operations difficult. Nonetheless we had the best time possible in what was a truly wild and exciting environment. To return years later and find relaxed animals with a higher diversity of species is extremely satisfying. Both the communities and the wildlife have benefitted hugely thanks to the presence of active tourism operations who have invested interest in the success of the area over the years. Red Lechwe on the wide open spaces of the plains. There were distinct indicators to me that the region is improving. Elephants and leopards are both extremely sensitive to any kind of negative attention from humans. i.e. hunting and poaching. Elephants never forget and leopards will simply choose to be somewhere else or like ghosts in an area where they are being shot at so both are great representations of what is happening. In the days I worked on the Busanga Plains elephants were seldom seen and if we did see them they would invariably be ghosting across the plains as quickly and quietly as possible. Leopards behaved exactly the same and were seen even less. The Lufupa Channel at the edge of the plains is a productive river system with phenomenal leopard sightings along the banks, massive crocodiles and plenty of hippos. On this trip, we saw a leopard crossing the plains and a herd of elephants right out in the open plain in front of a setting sun, both sightings on our first drive from the airstrip to camp. During that same drive we also saw a herd of around 40 Roan antelope, all the plains game you can imagine and an extremely relaxed Serval which we spent quality time with. In the days following we would see about 3 to 4 elephant sightings per activity and an amazing concentration of wildlife seemingly unbothered by our presence. Lion sightings on the plains are hard to beat and the action was continuous. The bird diversity is also very impressive with the opportunity to tick off several specials which are not usually seen in Southern Africa. 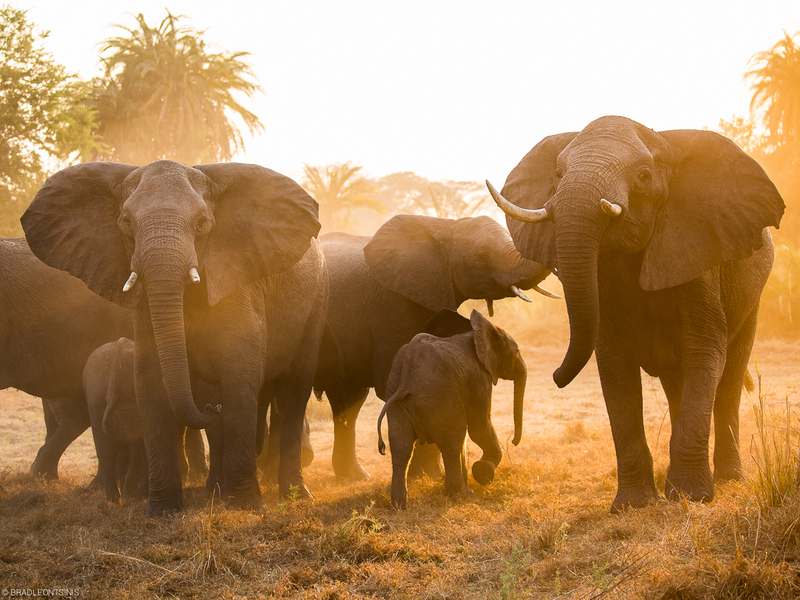 Elephant sightings have improved and the Busanga Plains provides outstanding photographic opportunities. Seeing improvements like these gives me faith in the model of eco-tourism for the upliftment and preservation of such critical areas. Providing employment and benefit to communities through the presence of tourism creates value of wildlife as opposed to wildlife being viewed as a consumptive resource or commodity. 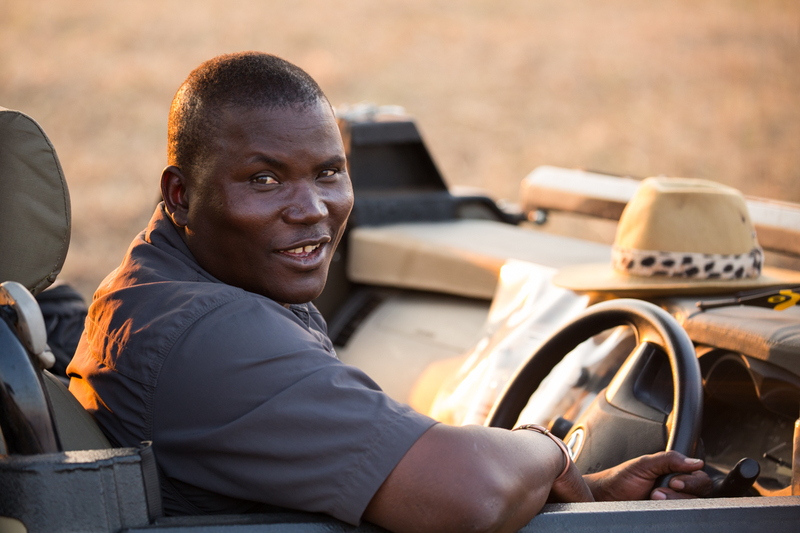 Idos Mulenga, a wonderful person and skilled Zambian guide who works on the Busanga Plains. I leave you with a story about one of the staff members at Shumba camp, Maradon. He was a famous poacher in Zambia with legends abounding of the tails of his infamous dealings with wildlife in the Kafue. When Wilderness Safaris started operating in Zambia, Maradon arrived for a job. He had traded in his weapon for a tool kit as a maintenance hand for a conservation operation. He speaks very limited English but proudly proclaims at every opportunity in the most wonderful accent, “I used to be a poacher…but now I am a conservation man!” That is what it is all about..
One of the few places with excellent Roan Antelope sightings. Excellent leopard sightings at the edge of the plains. Leopard sightings on the plains are improving constantly. We saw this one on our first evening. Included in a 3 night stay on the Busanga Plains is a complimentary hot air balloon ride. Excellent sightings of the rare and endangered wattle crane. A red-capped lark with a hungry chick following close behind.